At the same time that Gart Sports Company opened the Sportscastle, the Hochberg family and the Cantor family opened their first Sportmart in Niles, Illinois. The company grew to 60 stores in nine states. 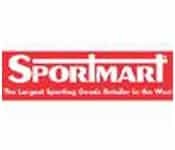 Gart Sports and Sportmart merged in 1998.